Bonjour mes amis in Missouri. Life As We Knew It is the first winner of the Truman Readers Award, selected by students sixth through eighth grade in Missouri. Notice how the link doesn't take you to some official announcement place. That's because I can't find an official announcement place. Actually, the place Google took me to last night was a blog by a librarian who didn't like LAWKI. So I waited until today to make the official (by me at least) announcement, by way of a librarian who is at least neutral on the subject. I love that LAWKI is the first Truman Readers Award winner. It will always be the first (or last) book on the Truman Readers Award lists. I hope students sixth through eighth grade in Missouri and elsewhere read French. Because my other piece of good news is that Pocket Jeunesse in France (bonjour France) will be publishing Life As We Knew It, The Dead And The Gone, and This World We Live In. This is one tres excellent day! That's great news! I can't imagine a person not liking LAWKI?! I say bonjour regardless of time of day. One year of high school French has its limitations. Trust me, there are plenty of people who don't like LAWKI. I know, because on occasion I get email from them. All of which I answer quite politely. Scooter, by the way, has crawled onto the shelf where I keep Pink Thing. I guess he figures it's a cuteness competition (he'd win, because Pink Thing doesn't purr!). It's a good thing you watched the movie! Congratulations! By the way, I think in honor of this that Groucho should get a chapeau, don't you? I don't want to think about what my life would be like right now if I hadn't watched Meteor that do nothing afternoon. Well, I can tell you this. I wouldn't be responding to your comments with a kitten nibbling on my sleeve. Speaking of the kitten, which is all I speak of these days, I put a wonderful new photograph of him on the right side of the blog. He was checking out the collected works of Susan Beth Pfeffer as a possible nap site. Groucho has my excellent New York Times Best Selling Author cap, which is chapeau enough for anybody. Although it's likely I'm the only person with a chapeau just like it. Oh dear. This response to your two comments is about 5 times longer than your two comments. I am a chatty little creature! Congrats on the Truman!! I was so hoping LAWKI would win!! My students are going to be very happy!! I think your students were probably responsible for LAWKI winning the Truman. Nothing like a little personal lobbying to push across a victory! Please thank them for me, and tell them how I excited I am to have won. That's the address if the link doesn't work for you. And please put "books" or the title in the subject box, so I'll know it isn't spam! Check out this blog entry for useful links! For Life As We Knew It, The Dead And The Gone, and This World We Live In can all be found here. For teaching Life As We Knew It. Here's an essay with some great ideas! 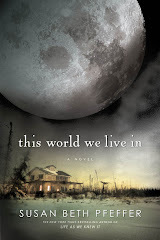 For all three moon books- Life As We Knew It, The Dead And The Gone, and This World We Live In. Thanks to Open Road Media! 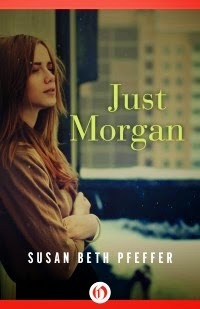 Just Morgan- My Very First Book! All Five Of The Sebastian Sisters! At Amazon and at Barnes and Noble. and independent booksellers. At independent bookstores, Barnes & Noble, and Amazon. 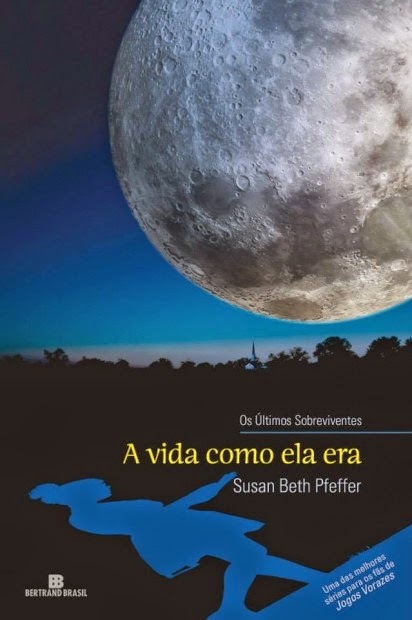 Here's What Life As We Knew It Looks Like In Brazil! 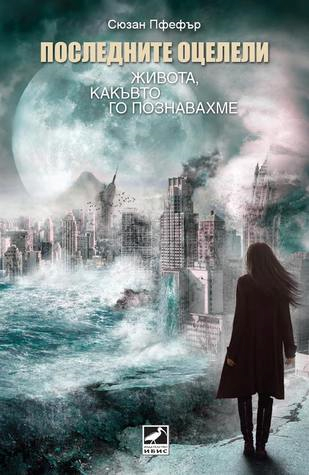 And here's what it looks like in Bulgaria! Complete with photographs of chairs! At Nook and at Kindle. Created by the Morton Grove, IL Public Library! Want To Learn How To Pronounce Pfeffer? Listen to me tell you all about my last name! Winner Of The Buxtehude Bulle! In this Life As We Knew It quiz! For The Dead And The Gone! Here it is on youtube! Has links to lots of my books! Here's a Publishers Weekly article about people who do! Come Meet The Life As We Knew It Website! I must really be famous! That discusses YA Dystopian fiction. I decided to be a writer when I was in first grade and I've been fortunate to have lived my dream. Among my books are Kid Power, About David, and The Year Without Michael and The Riddle Streak. My 77th book, Blood Wounds was published in September 2011. I'm also the author of Life As We Knew It, The Dead And The Gone, and This World We Live In. 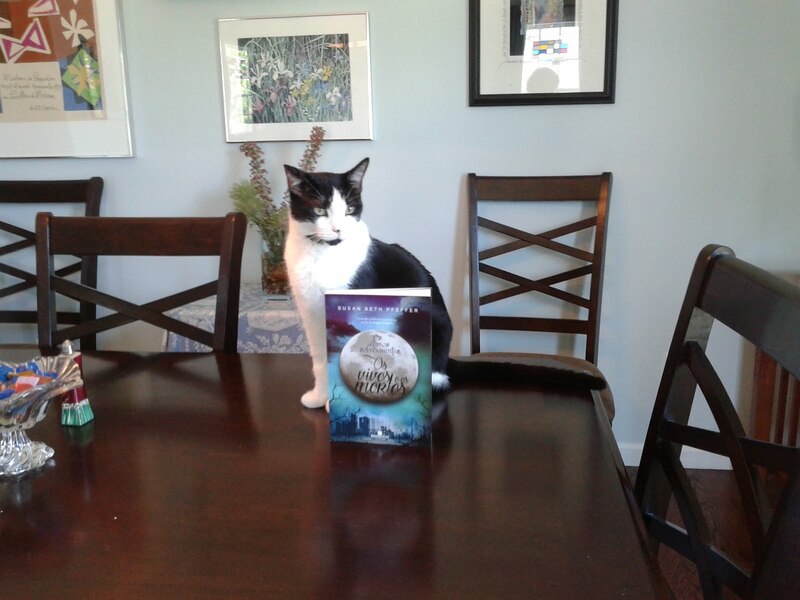 The fourth book in the series, The Shade Of The Moon, came out August 2013 and is now available in paperback.